Day 4 – Digging a ditch and playing games! 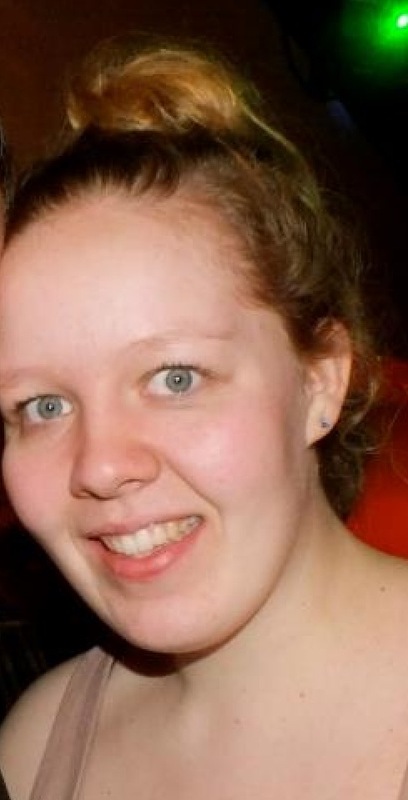 Hi I’m Alice studying BA Archaeology. 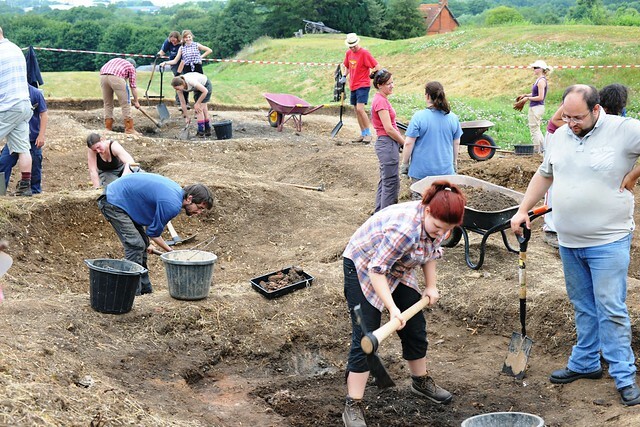 During my time at Basingstoke I’m most looking forward to learn more on the field and experience Archaeology from a time period I am passionate about-with hopefully lots of Medieval or Roman finds! And of course working on a site of such magnificent history! So work begins again on this cool day. No sign of sun as of yet but a perfect day for digging. 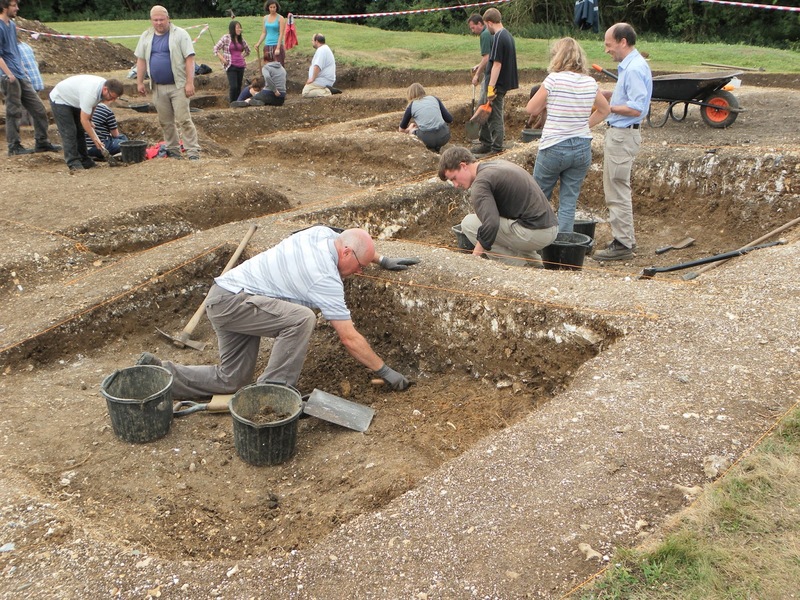 Within the trench, more mataking at the edges and new areas were being worked upon. More chalk outlines were being recognised and we were now about to exploit more of the 1960s grid excavations. What appears to be an open fire in the far right hand corner of the trench has also been revealed through extensive trowelling and finds such as charcoal and burnt wood etc. And to our delight, more of the artificial tankard replica segment has been found and seems to complete the pot. Much to our luck Nicole has been in contact with the potter, ‘Spike;’ an interesting story which will be discussed later on. 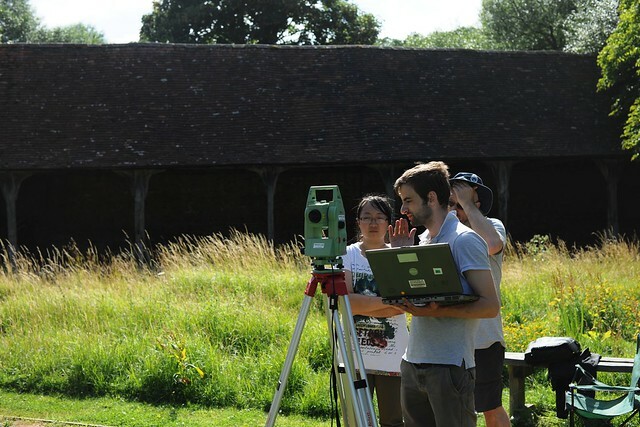 Survey on the common continued all day then continued total station on the trench and another team down to the Great Barn to begin building survey; a process which allows identification of door heights, measurements and training for those who were planning to use it! The education team set up outside the bell tent just as we did on Wednesday. 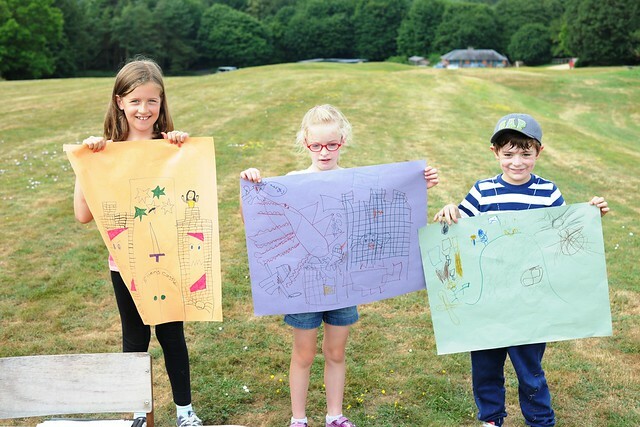 Such games and activities include the Kings Game, build your own castle, picture pairs or snap, make a shield and a display of skulls and artefacts with matching and guessing games to accompany them. The wait for 11’o clock was keenly awaited for by the group with hopes of a busy day with adults, children and families. Soon enough, families visit the tent and the children instantly take to the games. First having a look inside the tent at the skulls and replicas, then trying out the pairs game and picking up the arts and crafts that are available. There is an interest from the adults about the dig and archaeology and keen enthusiasm from all. Just like yesterday, the Kings game has proved to be a hit with both children and adults! It seemed to be an equal amount of people as Wednesday but nevertheless the kids seemed to enjoy themselves, some even coming back after cancellations last year. From talking to the children, a lot of historic interests have originated from the Horrible Histories books and television programs; a different outlook on history compared to this past week but thankfully a bit less gory! One visitor kindly shared his story of his enactment up on the common last year and in doing so lost a tooth – we were told to return it if the geo phys team discovered anything of the sort. Students also had the opportunity to walk through the secret tunnel; a passage leading from the centre of the old house to an exit down behind our base camp, or the ‘bothy’ a 5 minute walk away. The tunnel is not an easy walk; standing at only a metre high so crouching and hard hats were a definite must! Again the day eventually turned into a suntrap and didn’t fail to disappoint with the heat. Everyone seemed to be looking forward to the trip to HamptonCourtPalace tomorrow – an identical place to what Basing House would have looked like at its prime.